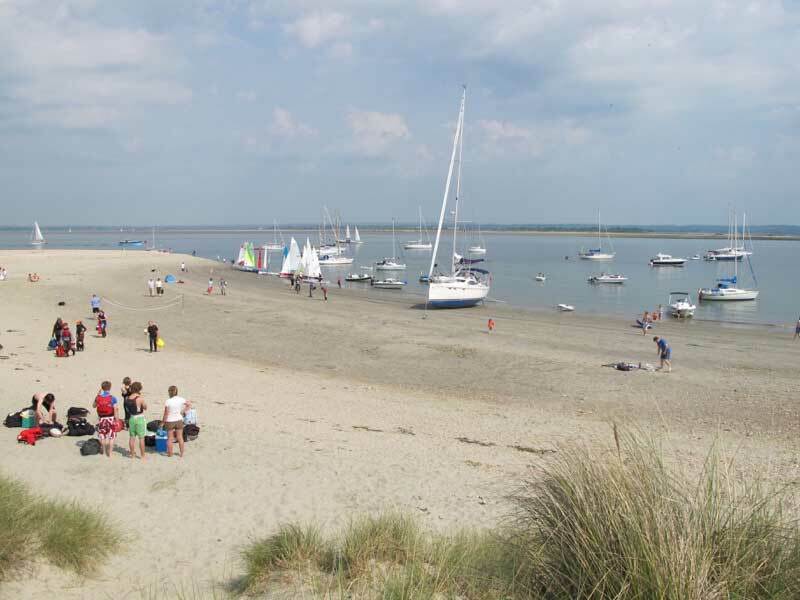 Excellent sailing, charming villages, historical destinations, friendly people and great pubs! 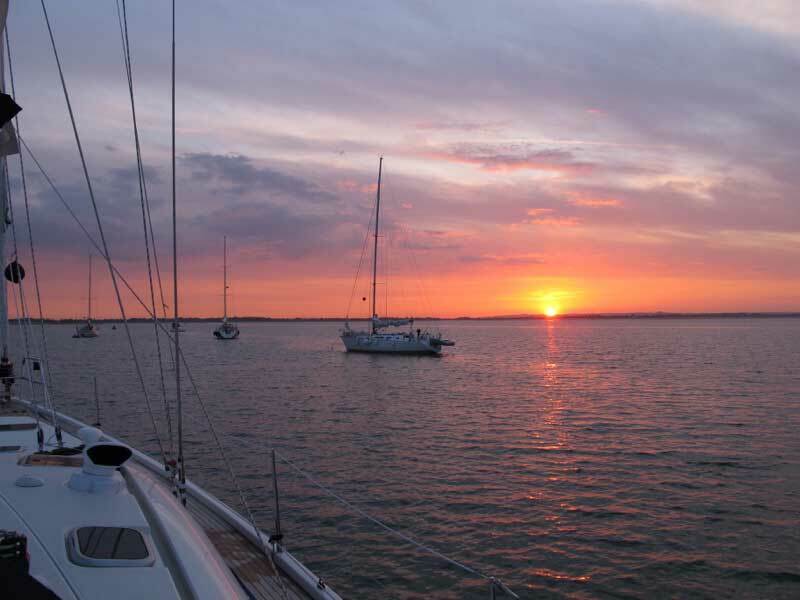 Exploring the UK by sailboat was a dream of ours for years. 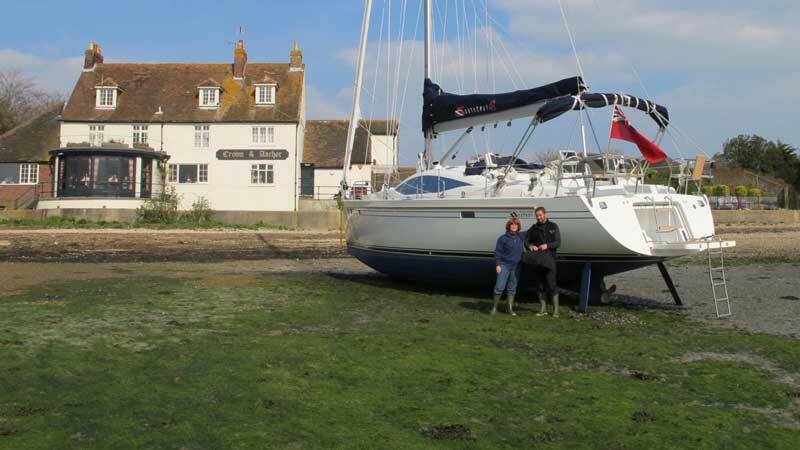 When we bought our Southerly 49 we finally had the chance to explore this sailing mecca. 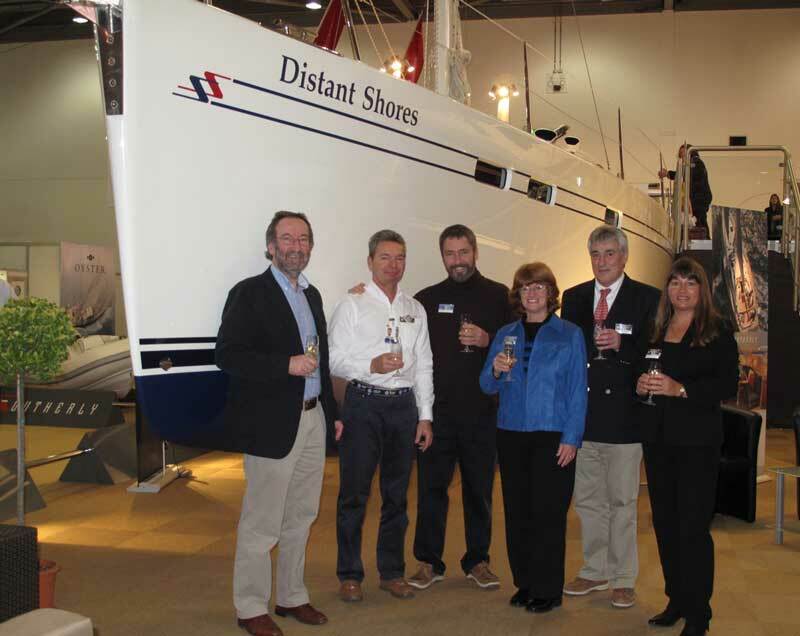 Distant Shores II was in the London Boat Show at Excel Centre. 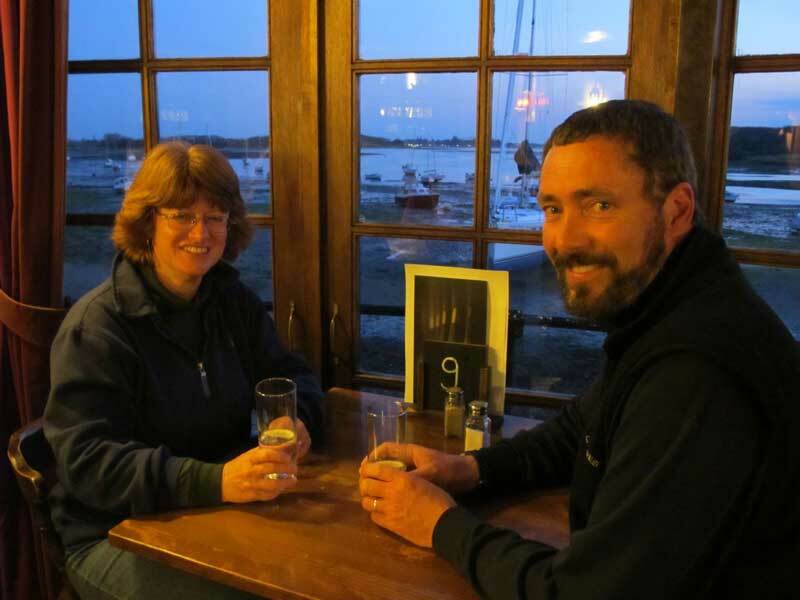 Pictured here (on left) is the designer Rob Humphreys who designed the 49 and also our Southerly 42 as well. The crew at Southerly Yachts are here as well - all smiles! 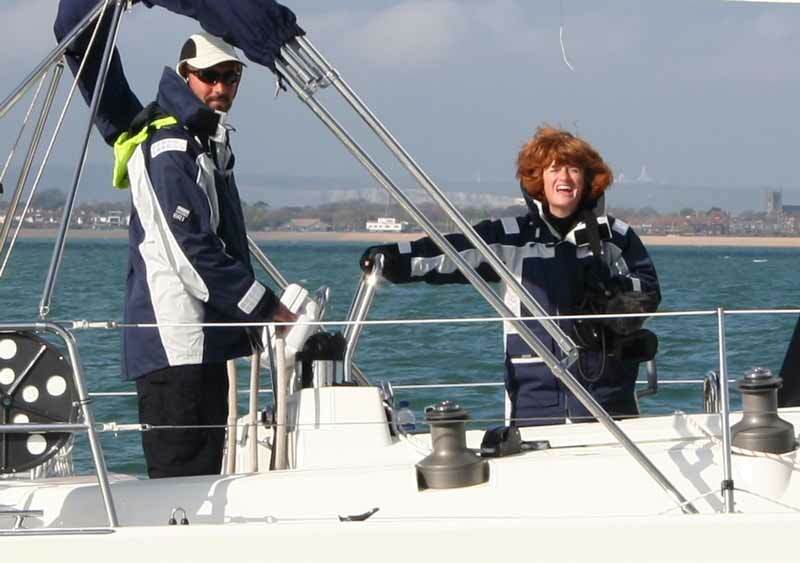 Shakedown sailing in the Solent. Its just April and we are testing systems and getting used to the new boat. 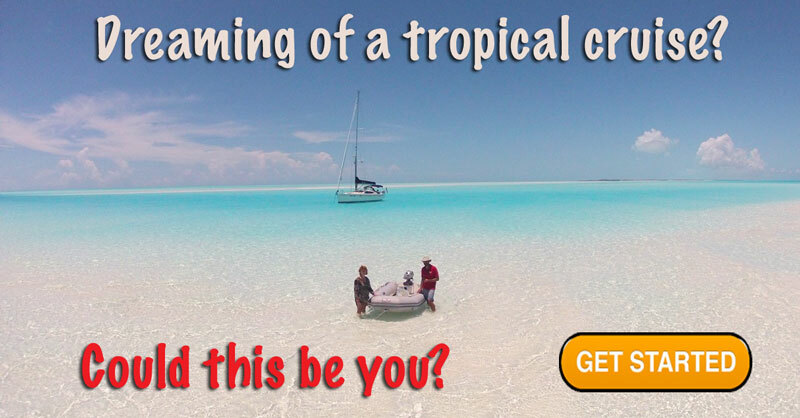 Foul weather gear is important this early! Sheryl is having a great time although its cold early in the season. 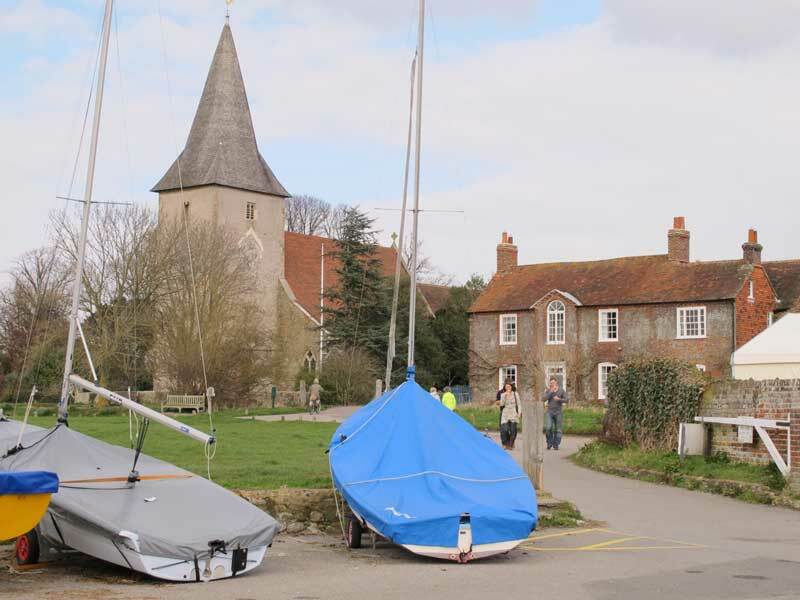 Exploring the harbour we come upon very cute Bosham (pronounced bozzum) and many other great destinations - sailing is definitely in the genes here! One year ago for my birthday I got the Distant Shores Super Pack. We have watched every episode - together. Probably nothing has helped us come together (as a family) on a vision more than that experience. We have learned a lot, talked a lot, and enjoyed your wonderful show. 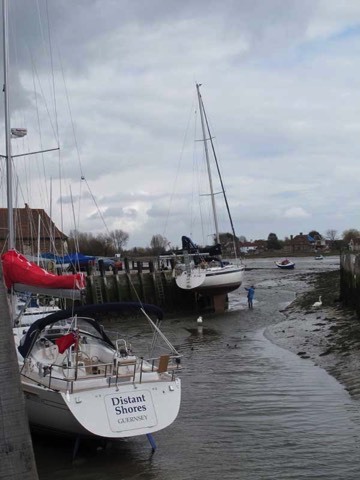 Bosham harbour dries almost completely at low water... our friends take advantage of the drying grid to do the bottom! We sit down in the mud! Shallows near the mouth of Chichester Harbour. 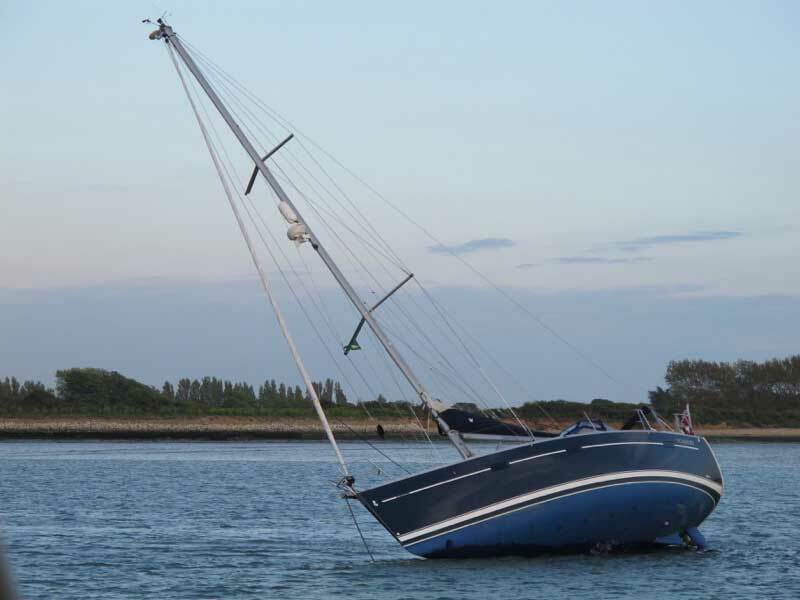 Deep keeled boats don't dry out as gracefully as the lifting keel Southerly. 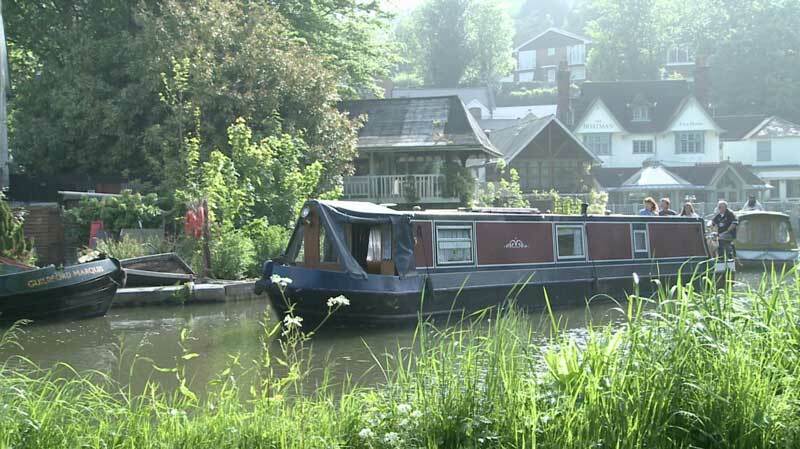 More exciting boating awaits on the inland waterway of England with Narrowboating! 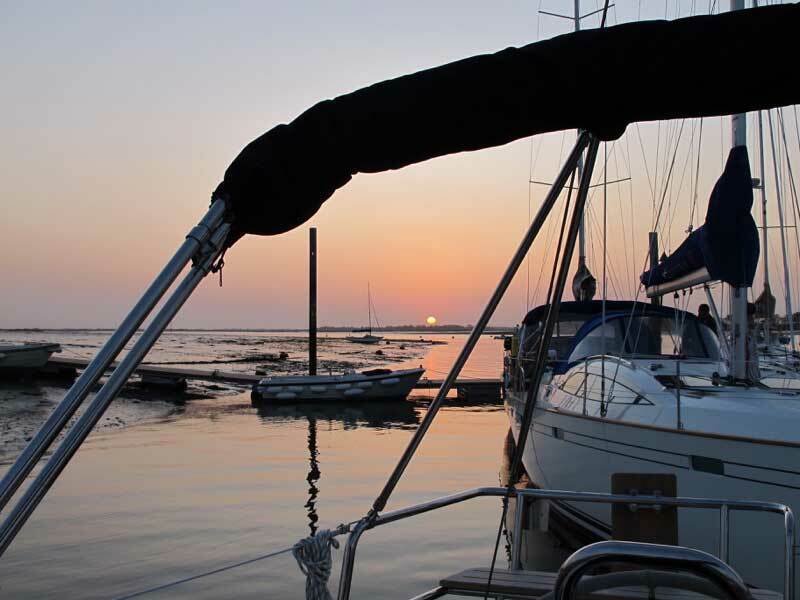 This historic waterway system is well worth the time but we couldn't take Distant Shores II since the waterways are too narrow - so we went with friends on their excellent vessel. We made one whole episode of Distant Shores on Narrowboating in England! Great Fun! !